Comfortable livingsubmitted by Anna M. - Mar 31, 2019 |Recommended: YesIt’s a comfortable quiet place. Great place to have a dog. Friendly neighbors and reasonable rent price for part of town. Negative things are , Remodeled but completed poorly. Cabinets you use more in kitchen fall off all the time. response from property - Apr 01, 2019 Thank you for your review. Please give us a call so we can make sure your cabinets are worked on and operating correctly. Thank you! response from property - Nov 14, 2018 Hi Eugenia! Thank You for your review!! We strive to provide the best service possible and enjoy providing a positive living experience for our residents. LOVE this place Cozy home.submitted by Katie S. - Oct 15, 2018 |Recommended: YesLove this place, office staff are wonderful and the I love the 1970s charm of the complex. response from property - Feb 02, 2019 Hi Katie, Thank you for your review of our beautiful community! We love having you as a resident here and hope we can continue to provide and enjoyable living experience here! response from property - Feb 02, 2019 Hi Emily! Thank you so much for your kind words!  We appreciate our residents and hope we can continue to provide an enjoyable experience here for you at Vertu! response from property - Feb 28, 2019 Thank you Adam!